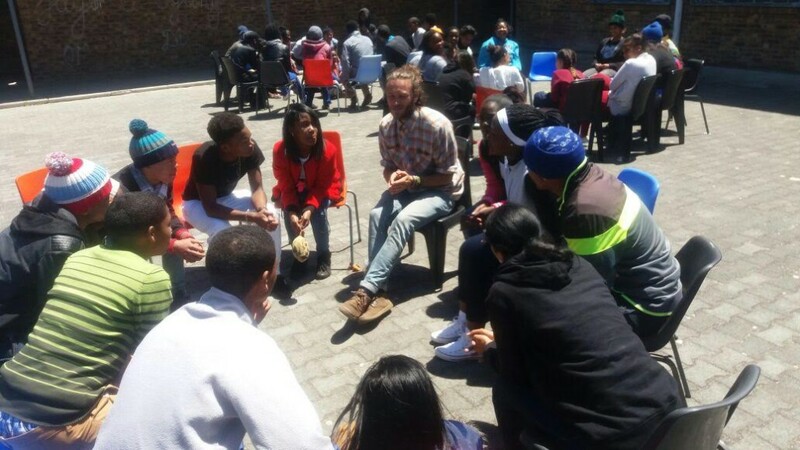 On the 29th of October 2016 UBuntu Bridge was invited by IKamva Youth Atlantis Branch to run a team-building/confidence-boosting workshop with the theme of language and diversity awareness. We needed to bridge language gaps in a fun and effective way that united the learners with the tutors on a common goal, which is to fulfill IKamva’s mandate: IKamva supports school learners by connecting them with tutors from tertiary level education for them to ultimately access tertiary education and/or employment opportunities once they matriculate! 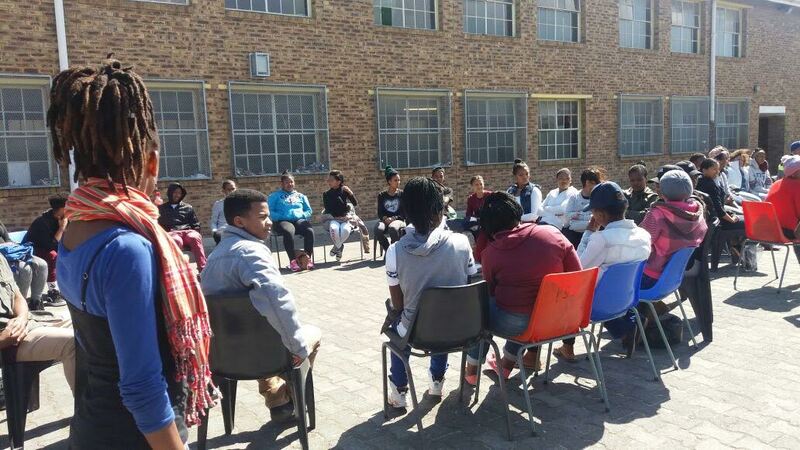 This 3 hour interactive workshop was held in Atlantis at one of the High schools in which IKamva Youth works. Makhosi engaging with the kids on issues of language separation and diversity! 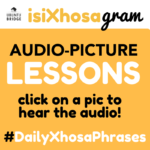 We had about 90 learners from different backgrounds who spoke the 3 main languages we have here in the Western Cape which are IsiXhosa, Afrikaans and English. The main theme being the critical role of languages in South Africa, especially in secondary schools between the students and the tutors, and especially along cultural and linguistic and how it can impact on a learners education if they don’t have the right attitude that will see them through to tertiary and beyond. 1. The importance of honouring and respecting their own languages, as pride in cultural and linguistic identity are important for confidence and self-esteem. To actively demonstrate this, all the most important elements of what we taught during the container-building first hour of the workshop were done trilingually. 2. The importance of learning each other’s languages (even if just conversational basics) as well as respecting and include (rather than exclude) those who speak languages different from their own. 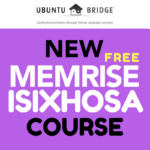 After using experiential processes to reveal the common struggles they have around language, identity and confidence, as well as their concealed interests to learn each other’s languages, we introduced ways to teach each other their own languages, empowering them with tools to bridge gaps, whilst building their own skills. We would like to expand this further, empowering them with teaching and language skills. 3. The importance of learning and speaking English, which is obvious but still faces resistance, so more importantly, expanding their awareness, and empathy for each other through the workshop processes. And thus helping them see the importance of supporting each other to gain confidence and proficiency in English through practice and encouragement, rather than shaming each other into shyness and silence. English is needed nowadays to secure them a less challenging life once they reach tertiary level of their education. Language cannot be a barrier or burden to the education of our children whose mother tongue is not English, and for them to overcome the challenge of learning a language as complex and inconsistent as English, they need to not have additional barriers such as peer humiliation, shaming, or other internal resistances due to socio-economic and historical (apartheid) factors. Because English is the language we are able to communicate in to understand people from all around the world and it is the business language in South Africa, but aware of our history and its legacy, it was important for these learners to know this: their home language and those of others are still important. We had great fun with the participants! 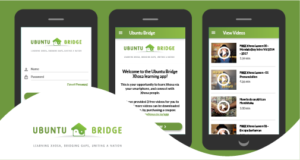 UBuntu Bridge’s facilitation and interventions are part of our professional and social mission to promote balanced transformation, multi-cultural and multi-lingual fluency, for a more united and prosperous South Africa! 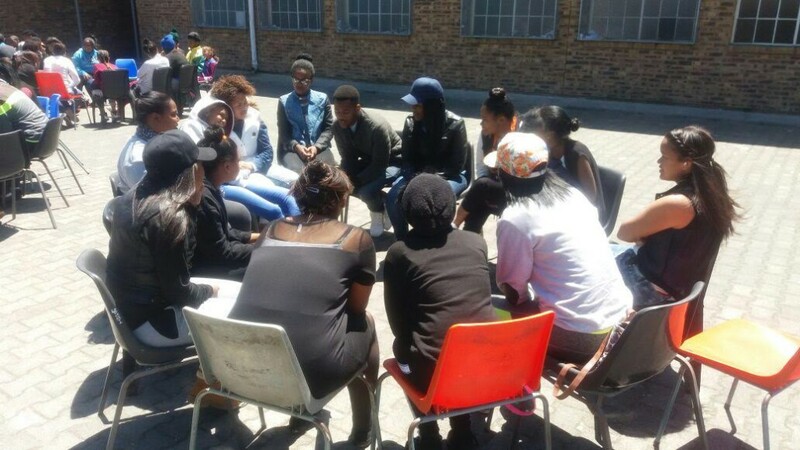 Ikamva Youth equips learners from disadvantaged communities with the knowledge, skills, networks and resources to access tertiary education and/or employment opportunities once they matriculate. IkamvaYouth aims to increase the collective skill level of the population, to grow the national knowledge base, and to replicate success in more communities. 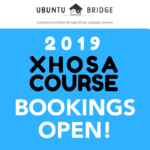 A non-profit organisation (established in 2003 and formally registered in 2004) with branches in five provinces in South Africa, IkamvaYouth currently operates in the Western Cape, Gauteng, KwaZulu-Natal, North West and the Eastern Cape. Thank you Ikamva Youth for having us be part of your community in Atlantis. ← The Critical role of language and relationships in growing green economies.